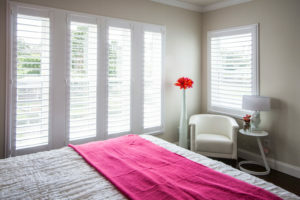 Interior shutters are a gorgeous window treatment that many homeowners choose to have installed in their homes. With numerous color choices, louver sizes, frame options, and more, shutters can be customized to complement just about any aesthetic. Homeowners in and around Poinciana, Florida, who want to explore their shutter options can turn to US Verticals for a wide selection. With decades of experience in the industry and the largest window treatment showroom in Florida, we have the expertise and extensive product selection to help you find the perfect shade solution for your home. At US Verticals, we only offer shutter options that we would feel confident putting in our own homes. That’s why we’ve selected two trusted manufacturers: Norman Shutters® and Eclipse® Shutters. Both of these brands offer beautifully crafted products to meet your needs. Composite – This durable material is a popular option for homeowners who want the appearance of a painted wood shutter without the increased maintenance. Thermoplastic polymer – This is another composite material that is completely waterproof, making it ideal for areas of the house with high moisture, such as bathrooms and steam rooms. Painted wood – Available in numerous specialty shapes, painted wood shutters are an excellent option for windows that have arches, curves, or other non-traditional shapes. Teak wood – This high-end material can be stained in your choice of finish, offering the beauty of natural wood to any room in your home. Ready to explore your shutter options in more detail and find the perfect ones for your Poinciana home? Contact US Verticals today or stop by our extensive showroom. Our friendly team will be happy to assist you.